A new spy video of the next-generation Mercedes-Benz S-Class just emerged. This time, the clip takes a peek at the interior of the upcoming flagship sedan of the three-pointed star marque. 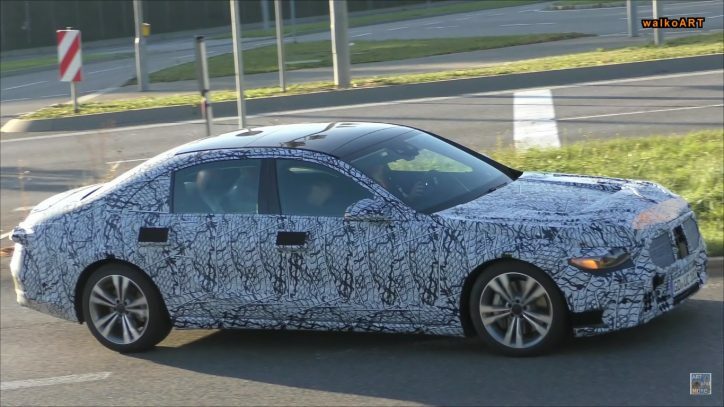 Last month, we saw spy shots of the Mercedes-Benz S-Class while undergoing testing. 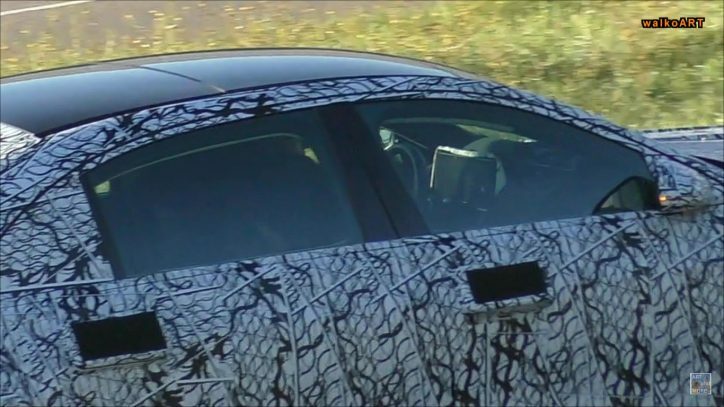 The earlier spy video shows the auto in a heavy zebra camouflage and bulges that hide its true shape. Even the door handles were hidden, which makes us wonder what is happening on that part. What we know so far is that the 2020 S-Class will get more legroom because of its seemingly longer wheelbase compared to the current model of the car. Then due to its status as the flagship of the Mercedes brand, we expect nothing less when it comes to its interior detailing and onboard tech. The new spy video of walkoARTvideos takes us to the cabin of the car through its windshield, rear glass, and windows. There’s not much to see there because the upholstery of the auto appears unfinished and a piece of black fabric is hiding the dashboard. However, a massive driver’s display can be seen inside the vehicle. Since the A-Class kicked things up with its 10.25-inch display with the MBUX multimedia system, the S-Class will likely bring up its game by upgrading its 12.3-inch displays to distance itself from the lesser models of Mercedes. There are speculations that the S-Class might get a thing or two from the elements previewed by the Mercedes-Maybach Ultimate Luxury concept vehicle. The production version of the prototype is expected to hit the market in 2019 as a 2020 model year car.